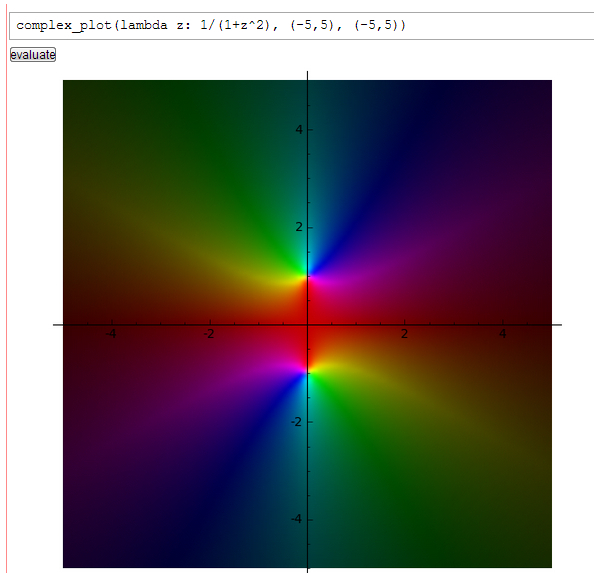 Graphing Compex Functions 3D (x,y,i axes) Instead Of Color-Coded (SAGE). It would be nice to see it in 3D instead of merely color coded. 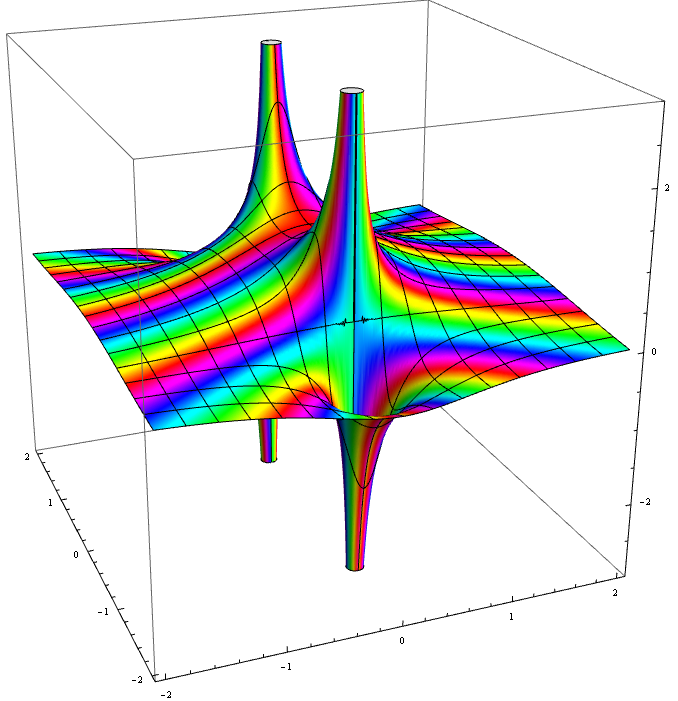 The y-axis is coming out of the picture toward us and instead of seeing the 3D surface (in x,y,i coordinates) we see a color-graph on the x-i plane. 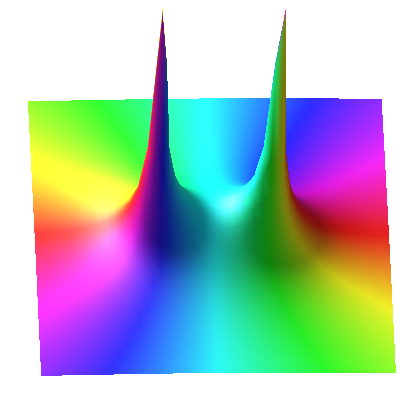 Notice how the complex function is broken into real and imaginary components. 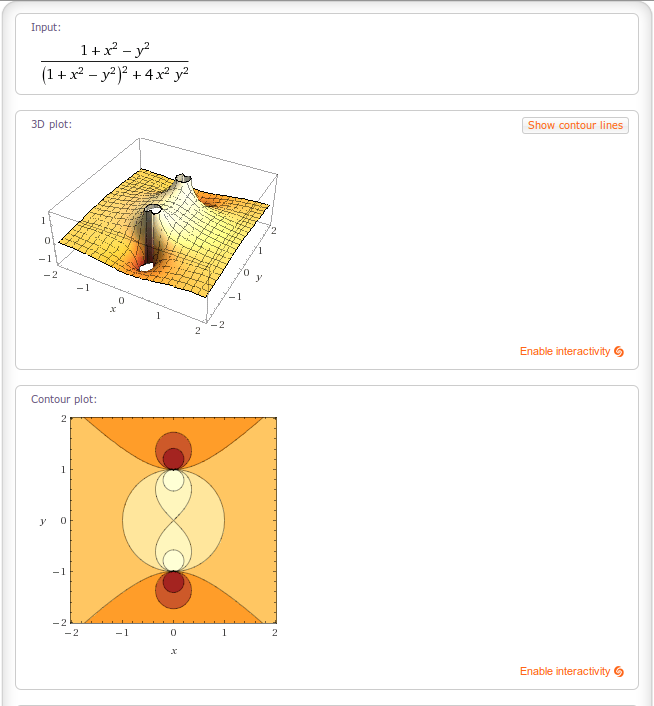 The graph the Re(1/(1+z^2) on Wolfram Alpha! 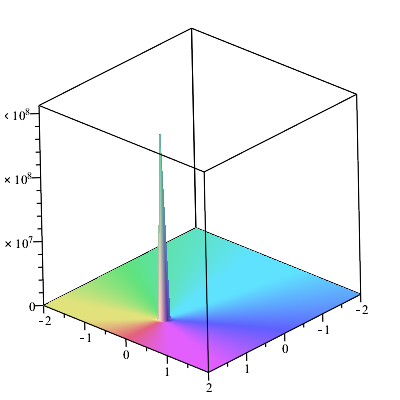 Also the 3D plot of the imaginary component. 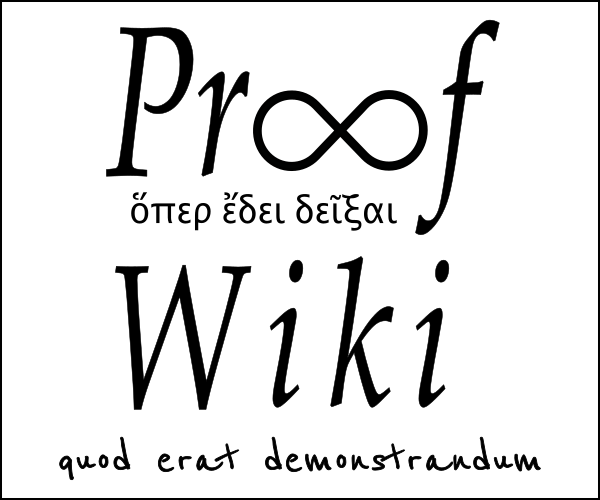 I wrote a little something in three.js/webgl to do this. 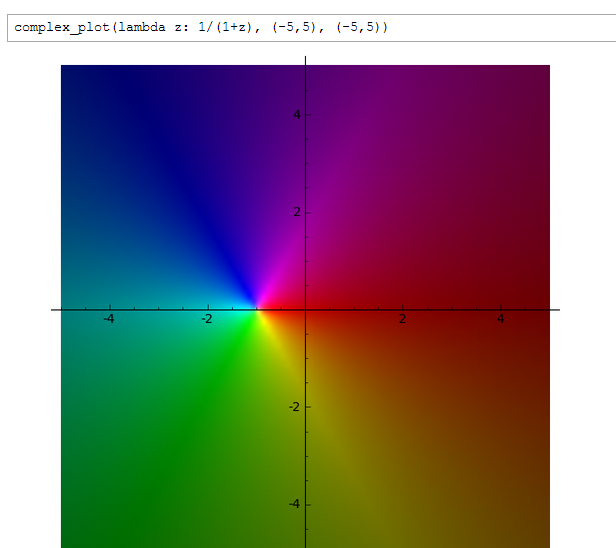 It allows you to choose how to map your 4 available complex axes to X,Y,Z and color gradient. Free, no install of anything required. Sharable. Just a hobby project, but might be useful. Some other examples here. Not the answer you're looking for? 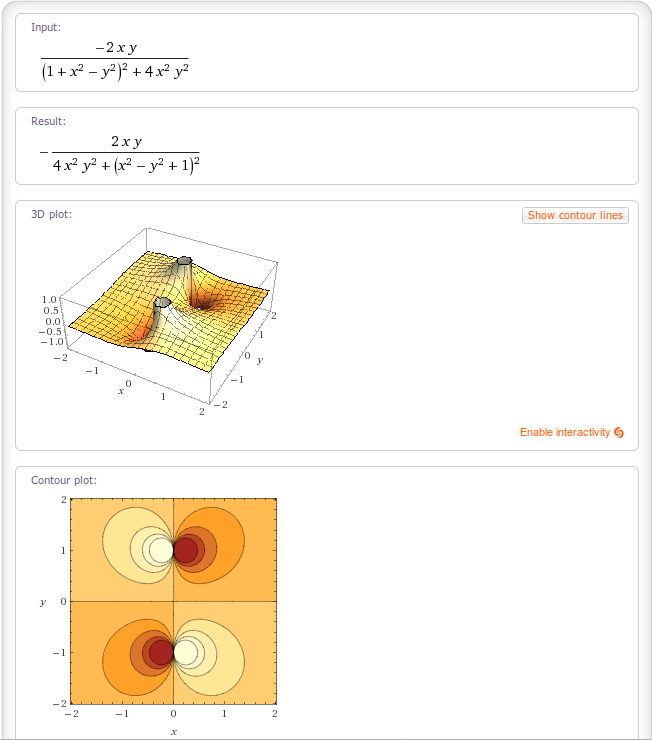 Browse other questions tagged complex-analysis sagemath or ask your own question. 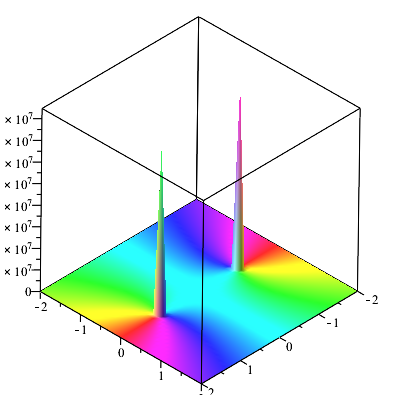 How To Slice $Re(1/(1+z))$ Into A Cartesian Function For Any Angle? 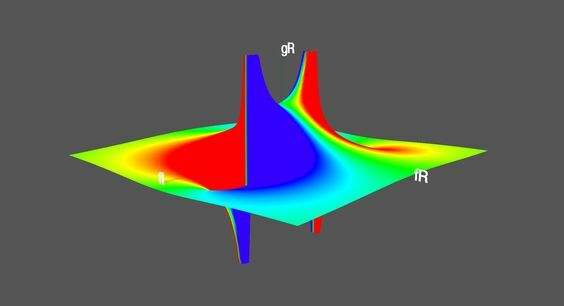 How can the graph of a complex function be embedded in three dimensional space? (Soft Question) Is it bad to use Sage built in functions instead of creating my own? Define the ring of integers of a number field in sage.